Any upcoming TV appearences can/will be posted here. Comments: "MTV Classic brings you the biggest heroes, legends and icons in MTV's history! Now...David Bowie!" They did a whole program about glam, and didn't mention the king of glam I'm gonna complain!! That's like having a program about Christianity without Jesus! For people in the UK, Ziggy Stardust: The Motion Picture is sometimes shown on Sky Arts 1, so keep an eye out! i was thinking to ask to you about this program... 'cause i had to see that... but i think that i don't wanna see it if they dont talk about him! is incredible! 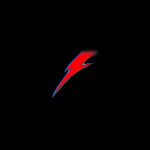 seems really impossible make a program about glam without talk about Ziggy!!! ahah we have to write to swedish tv! ahaaha ypu are incredible! do you have an answer from them ? yes, the answer I wrote in this topic? For people in the UK! An hour dedicated to David Bowie! Subject: Re: David Bowie on TV.